ObamaCare is still one of the biggest financial headaches suffered by businesspeople. But there’s more bad news for business. Now, a book indicts the Food and Drug Administration (FDA) for massive problems that annually lead to the deaths of nearly a quarter of a million Americans and cost an unnecessary $200 billion+ in healthcare expenses. 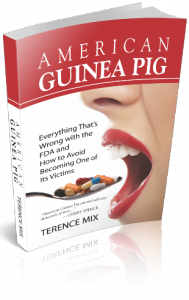 The book is entitled, “AMERICAN GUINEA PIG: Everything That’s Wrong with the FDA and How to Avoid Becoming One of Its Victims.” Author Terence Mix is a noted Santa Barbara, Calif. attorney. Another ominous statistic, “…almost half – 105,000 – are taking the drug exactly as specified by the pharmaceutical company that manufactured the drug,” he writes. His book spells out numerous problems with the FDA’s testing procedures and its drug-monitoring system. The author provides precautions and answers to solve the problems. Incredibly, Mr. Mix indicates the FDA doesn’t even have criteria for safety precautions and what protections are needed. “In fact, it’s a conclusion that was reached by the United States Government Accountability Office (GAO) in March 2006 following a 16-month investigation requested by Congress,” he explains. “Most people seem to think that it is the FDA that either tests or directly oversees the testing of drugs,” says Mr. Mix. He uses a metaphor to describe problem. Mr. Mix’s book includes 10 drug case studies from ibuprofen to Cylert. He says ibuprofen can be dangerous especially if taken with aspirin. He points out Cylert was finally banned in America in 2005 – six years after Canada outlawed it and eight years after Great Britain removed it from the shelves. The author says he had two objectives in writing his book. “One of the goals of the book,” explains Mr. Mix, “is to wake up Congress and point to changes in the law that could save 100,000 lives and cut $100 billion in healthcare costs. And that’s every year,” he adds. Secondly, Mr. 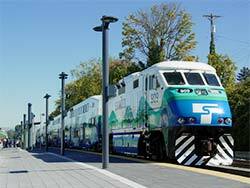 Mix says he wants consumers to get the information they need to avoid becoming victims. Indeed, the book lists the essential questions a patient should ask of the doctor and pharmacist. You can visit the book’s Web site here. My question is why are we paying for this debacle? Must Read: ‘The Book…on Business from A to Z’ — A business book makes a bold promise. It’s entitled, “The Book…on Business from A to Z: The 260 Most Important Answers You Need to Know.” Is this an accurate title? Yes. It’s an authoritative book. A Book That Will Improve Your Life, Business and Community — Lovers of knowledge and wisdom periodically get an opportunity to read a book that delivers particularly valuable insights. Such a well-written book is “The Power of Habit: Why We Do What We Do in Life and Business,” by Charles Duhigg, who is also a reporter for The New York Times. When your products aren’t selling, obviously, it hurts. Products just lurking and collecting dust in your warehouse are costing you money. Your investment in such products declines in value. And cash, as they say, is king. 1. Determine your turnover ratio by calculating your inventory turns. You’ll need to know your cost of goods sold (COGS) and your average inventory. COGS are your expenses in manufacturing or selling products. To determine your average inventory – calculate your average inventory by listing the last period’s inventory; add the current period’s inventory; and divide them by two. Then, to learn your turnover ratio, divide your COGS by your average inventory for the period in-question. 2. Calculate the number of average days to sell products. Now that you know how to determine your inventory turn rate, as an example, let’s say your turnover ratio is 5. Take the number of days in a year, 365, divided by 5. This means it takes you 73 days to sell product. Would this be good or bad for your company? Naturally, big ticket items take longer to sell than less-expensive products. 3. Determine your inventory in comparison to current assets. A dilemma: If most of your assets is part of your inventory and your turn rate is too low, it’s not a positive situation. It’s probably time to cut prices. Make certain you know what drives your profit. 4. It might be enlightening to compare your data with your sector’s norm. Do your research on your industry norms and key ratios. It helps to join your industry associations for networking. 5. If your ratio is not favorable, take action. Sell your troublesome inventory by lowering prices. Again, cash is king. But don’t make a habit of cutting prices. Being a low-price leader is not a good strategy. 6. For maximum efficiency, try to focus on “just-in-time” inventory. It’s a strategy to minimize costs in inventory control. The products arrive just before you intend to sell them. This avoids the expense of carrying an unnecessary large inventory. Unproductive salespeople often complain about not having enough inventory to sell. Usually, they’re not good at selling what’s in stock. Be careful about having too much inventory, and consider sales training for them. For the five dos and don’ts in productive selling, see a comprehensive article for profits: How to save on sales opportunity costs. If cash flow is problematic, don’t use the “just-in-case” inventory strategy. That’s a strategy to minimize your chances that you will sell out your products. This, of course, means higher inventory expenses. 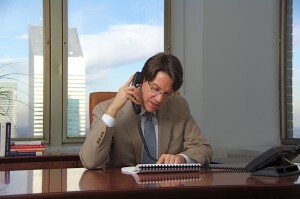 Most businesses use this strategy when they have difficulty forecasting sales. 7. Continuously analyze what’s productive. Know your good-selling products. Maintain enough of an inventory for a good image with customers. Strike a balance. In cutting costs, know the nine best practices to avoid making reactionary decisions. 8. Treat your suppliers like good customers. Always maintain good relationships with vendors. When using a “just-in-time” system, you never know when you need to increase your inventory. If you’re fortunate to have such a demand or opportunity, you’ll want the best service and quick delivery of products at the right price. If you have dysfunctional vendors, here’s how to get great service from them.